Promotional M&Ms Acrylic Stars contain an old favourite in a groovy case. Take your brand reputation to greater heights with the promotional M&Ms Acrylic Stars. With this promotional product at your service, you’ll definitely be making an unforgettable introduction at that trade fair. 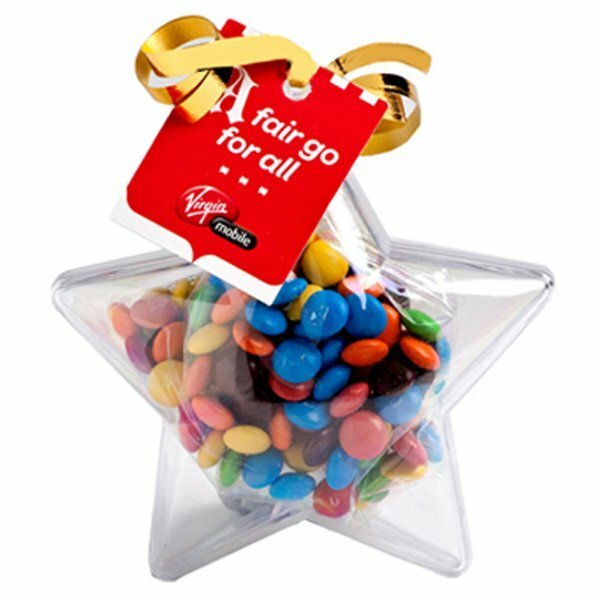 The personalised M&Ms Acrylic Stars also make great gifts to business partners especially if you want to enhance rapport. We know trade fairs can be packed. And with so many players in the competition, sometimes it could get hard to stand out from the rest. That’s where the promotional M&Ms Acrylic Stars come in. Packed with 50 grams of delicious M&Ms chocolates and encased in an eye-catching container, this promotional product will have trade participants heading toward your direction. It’s great for introducing your brand. Just hand out a pack and start talking about your business. Don’t forget to add your personal touch by attaching a tag with your custom design on the M&Ms Acrylic Stars. The tag is 45mm (w) x 35mm (h) and can be printed in full colour. Likewise, you can also put your custom design on a 25m diameter sticker which will be placed on the body. For maximum exposure, we suggest you do both. 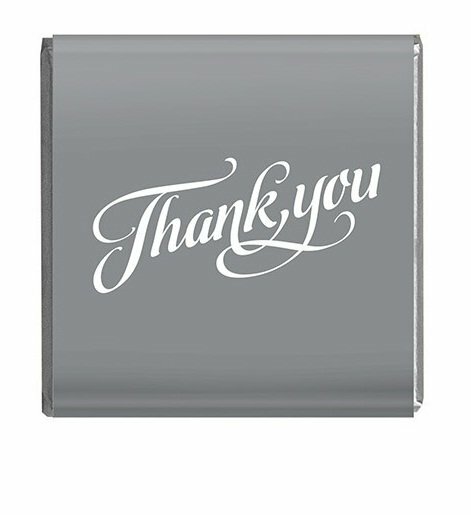 You can have your company logo on the body while a personal message is written on the tag. There are other ways of packaging M&Ms that you can look into. The mouth-watering customised M&Ms Coloured Noodle Box is an inexpensive promotional product if you’re looking for something way below your budget. Similarly the gorgeous looking and budget-friendly custom M&Ms Dispenser should be able to suit your requirements. Let your marketing sparkle with our custom M&Ms Acrylic Stars! Our tasty confectioneries will definitely help highlight your brand’s star quality. 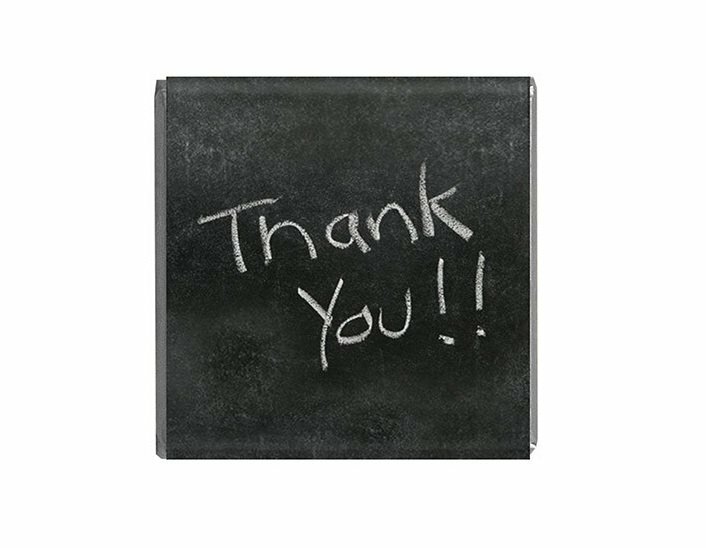 Refining your giveaway line-up? Check out the Five Panel Superior Cotton Mesh Flat Cap and our other promotional hats and caps! We have a live chat application on this website that you can use in case you wish to talk to one of our team members. Just hop on that chat bar and shoot us a message. Or if you want to go the old school way, simply dial our hotline on 1300 008 300.